Ingredienser: Rød og Hvit Sandeltre, Safflower, Bdellium, Hellige basilikum, Juniper, Sedertre, Spikenard, Agarwood, Nellik, Muskat, etc. 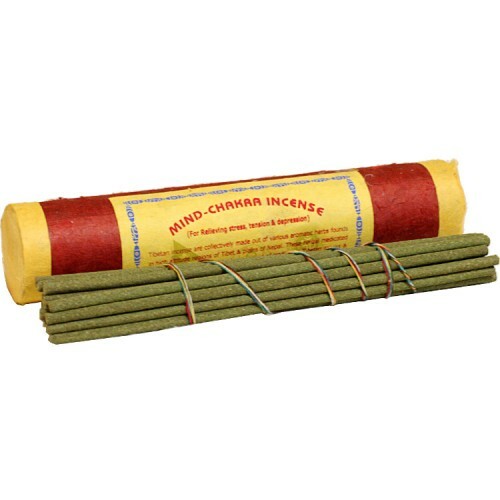 Kombinasjonen av nydelige dufter som Rød og hvit sandeltre, Kusum blomst, Bdellium, hellige basilikum, Juniper, sedertre, Spikenard, Agarwood, nellik, muskat, etc. 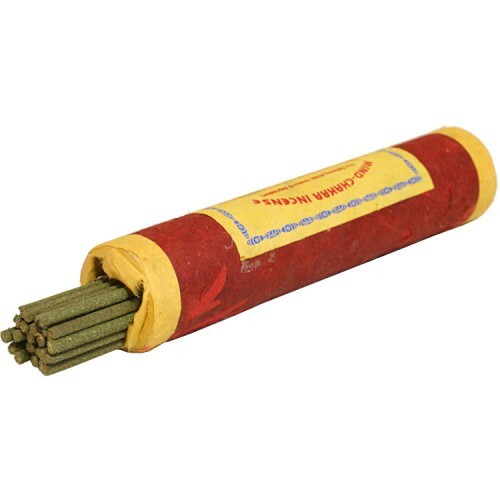 These herbal medicated incense are made under the strict control of traditional Tibetan monks and craftsmen under key instructions of reknowned herbs masters. 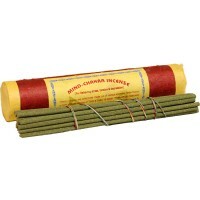 This incense is widely used Buddhists' and by others for the purpose of meditation, relaxation, purifying and offerings. 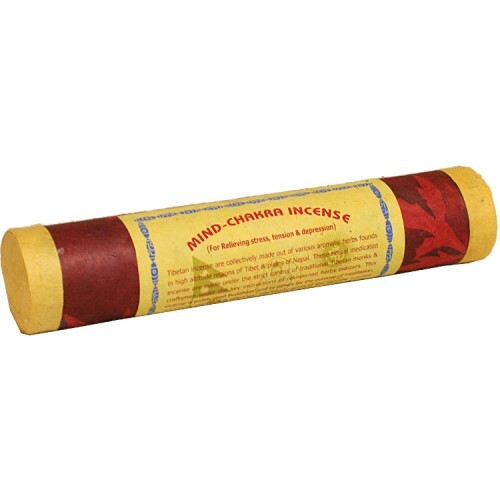 The combination of the genuine scented substances are likewise Red and white sandalwood, Kusum flower, Bdellium, Holy nasil, Juniper, Cedarwood, Spikenard, Agarwood, Cloves, Nutmeg, etc.